While I always am amazed by the DIY Pumpkins folks come up, there has to be an easy way to decorate a pumpkin for the rest of us! 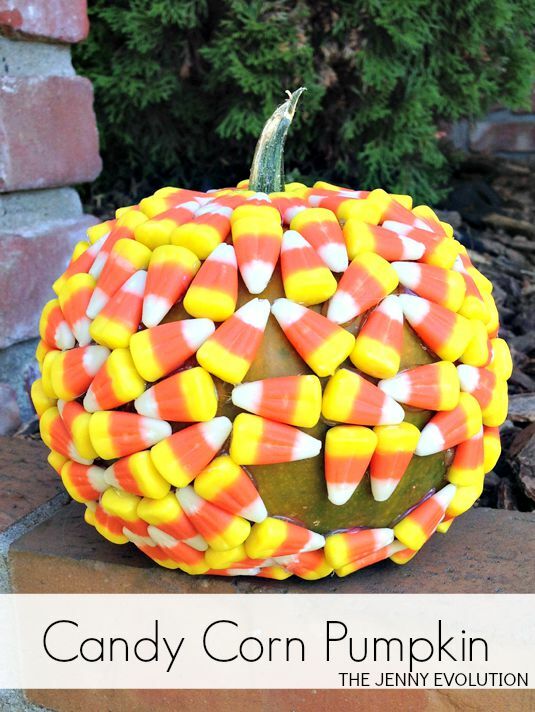 Grab the kids or teens because the whole family can get involved in creating their own Candy Corn Pumpkin. Here’s a cute little pumpkin idea. It’s a bit more labor-intensive than carving a pumpkin but has much more colorful results. Just use a glue gun to attach the pieces on to the pumpkin. Be sure to leave the pumpkin blank to make the face shape, if you’d like. This pumpkin can last several years if you use a plastic pumpkin because even though the candy corn may not be suitable to eat, it will still look good to display! Just be sure to properly store it in between seasons.